Once again this year, over the Fourth of July holiday weekend, the Goodguys Rod and Custom Association hit the metropolitan of Des Moines, Iowa to host their annual Speedway Motors Heartland Nationals – bringing with it the now revered “Duel in Des Moines” autocross competition, presented by Optima Batteries. 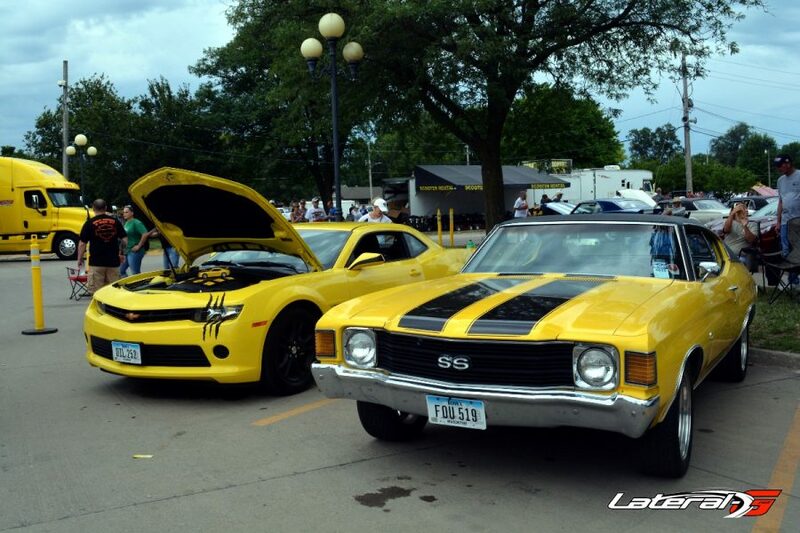 Filled with pros, newbie autocrossers and everything in between, the battle in the heart of the Midwest was one not soon to be forgotten, flanked by more built muscle cars than we’ve seen at the event in years past! Check out the highlights below! 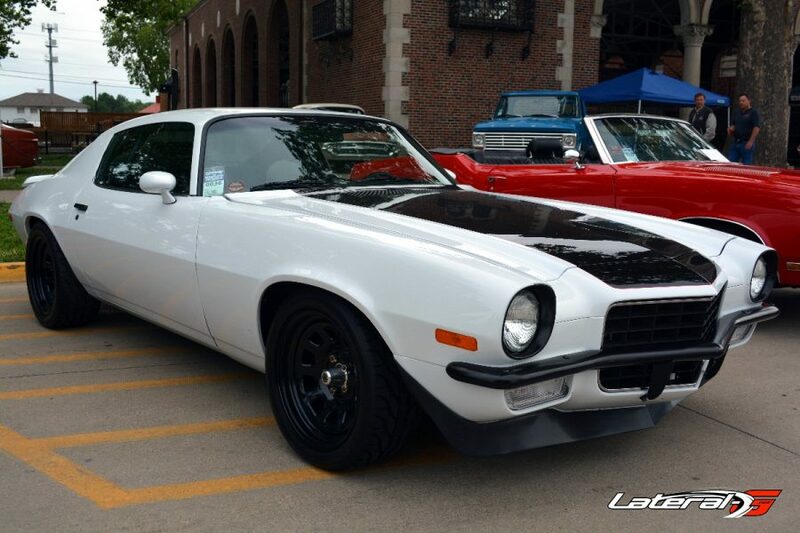 Having been brought in from all over the country, the pro-touring builds at the Heartland Nationals were numerous, spanning the full spectrum of paint schemes, performance upgrades, and just about every generation of owner. 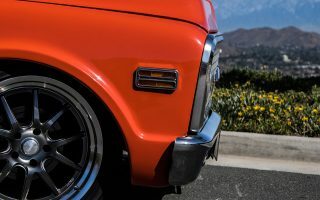 This year was definitely the year of the Chevys, with built Novas, Chevelles, Camaros and Chevy trucks of various generations significantly outnumbering their Ford pro-touring counterparts. 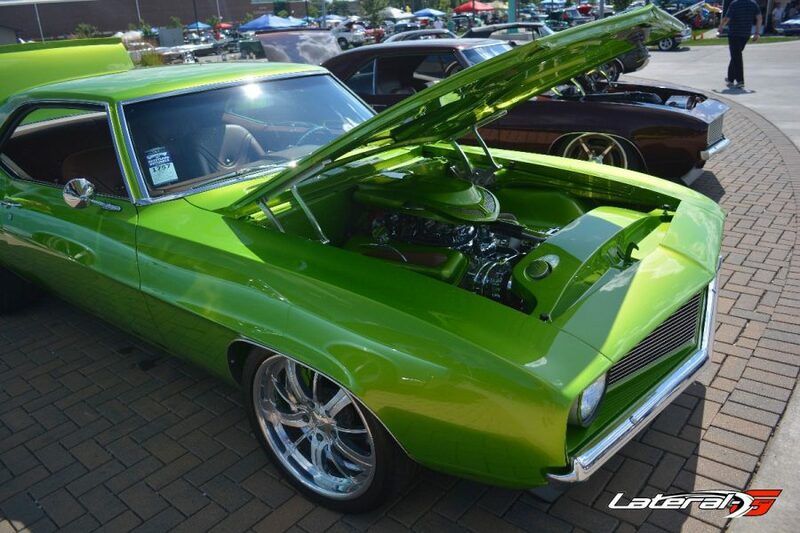 Ironically, the Muscle Car of the Year contender picked at the show was a 1969 Mustang. While we love our pro-tourers in every form, we love seeing them in action even more. 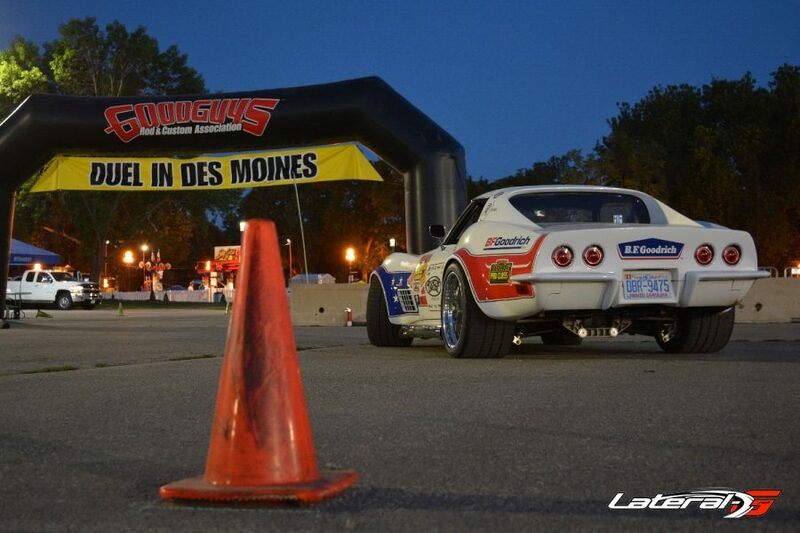 For that, we headed over to the Duel in Des Moines autocross competition right on the event grounds. 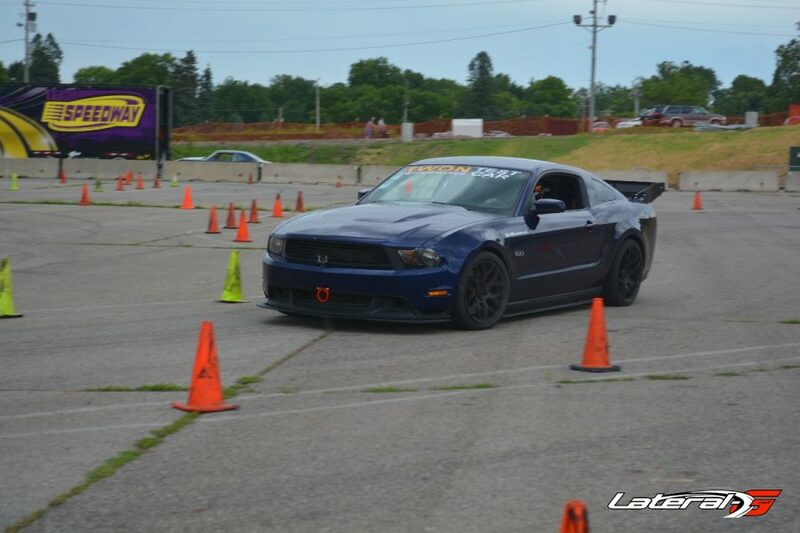 Just like in years past, the autocross competition started Friday morning with practice runs for all of the competing drivers. All day, every racer went out with a purpose each time they hit the starting beams – dial in their best times and avoid hitting cones or be assessed a penalty for each one. There were a number of cones thrown in the first few practice rounds but each driver got progressively better as the day went on. When Saturday morning came around, it was time for the real competition to begin. Over the morning hours and into the afternoon, the field of competitors was widdled down from over 60 to 30, and then again down to 16. 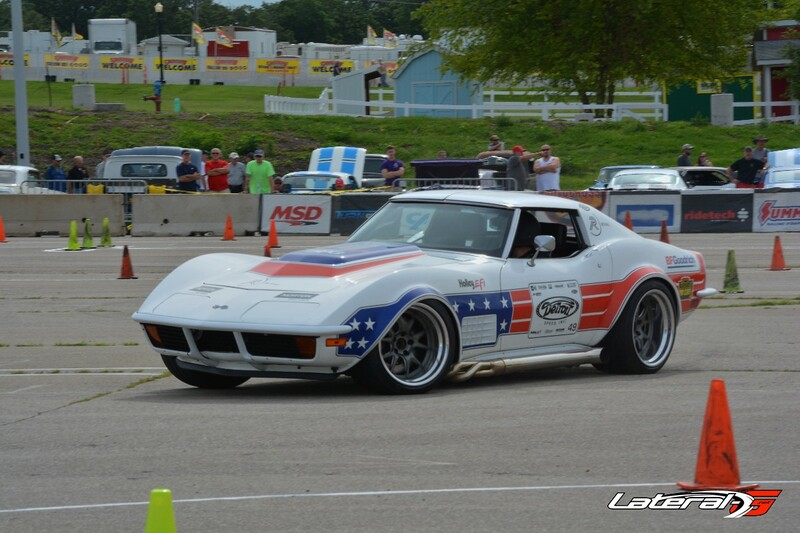 Once down to just 16 drivers, each competitor was placed into the Duel in Des Moines bracket and the nail-biting bout to name the Heartland Nationals’ best cone-carver commenced, being led by Detroit Speed/ BFG racer Ryan Mathews in his 1972 Corvette, having thrown down a qualifying time of 45.819 seconds. With half of the field knocked out of contention with each round of competition, it wasn’t long until the top eight went head to head: Ryan Mathews against Larry Woo; Robby Unser against Mike Dusold; Chris Smith against Al Unser; and Josh Leisinger against his younger brother Jared Leisinger. Mathews, R. Unser, Smith and Jared Leisinger came out of their second rounds victorious, pairing Mathews against Unser and Smith against Leisinger for round number three. Out of that came Mathews and Smith battling it out for first and second place while Unser and Leisinger duked it out for third and fourth. In the end, it was Mathews who took home top honors in the Duel in Des Moines followed by Smith in second, Leisinger in third and Unser in fourth. Payout for the winner was $2000, with second taking home $1000, third $750, and forth getting $250. 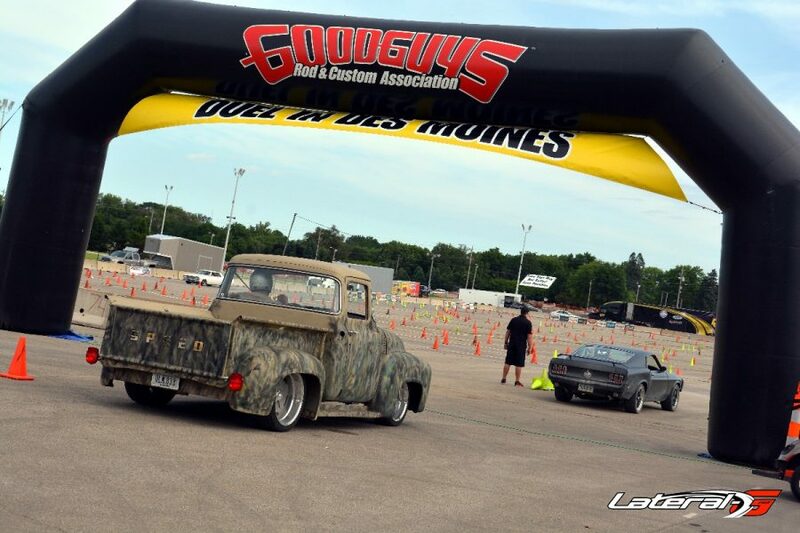 The Duel in Des Moines officially got over Saturday night right around 4pm but the Goodguys AutoCross was far from over at that time. On Saturday evening leading up to the fireworks show, the Goodguys put on a “Twilight AutoCross” with many of the day’s competitors as well as a handful of show vehicles taking to the autocross course (including a sweet Corvair pickup truck, the TCI test Nova and a couple of RideTech and Roadster Shop cars) for fun runs from 6pm until dusk. Shortly after the last car ran its last exhibition lap, the annual Saturday night firework show went off with a bang (literally!). 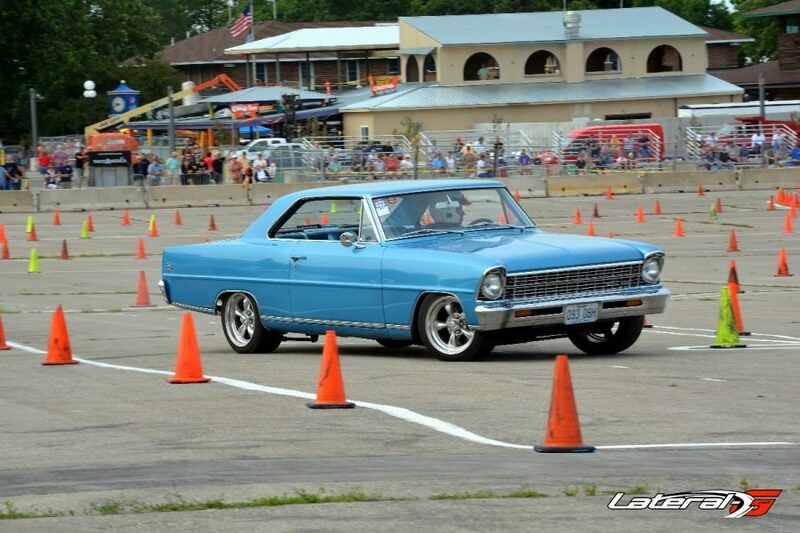 On Sunday, the Heartland Nationals welcomed late-model US-built and US-powered vehicles to join in the car show fun with many of the modern vehicles and their drivers hitting the pavement for some lighthearted cone-carving competition. Among the contenders were a number of modern Mustangs, Camaros, Corvettes, and even a custom-built S10 like you’ve never seen before. In the end, the fastest lap time of the day was clenched by none other than a Ford Fiesta. The Goodguys 26th Speedway Motors Heartland Nationals was one for the record books, with more show vehicles, autocrossers and attendees than ever before. 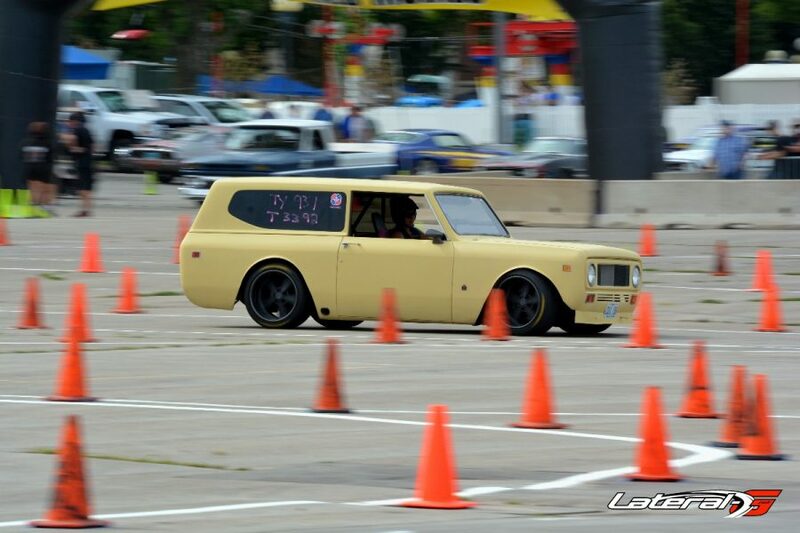 The pro-touring scene is certainly growing at the Midwest event with more and more “build it and drive it” types strapping in and taking a leap into autocross competition through the Duel in Des Moines. It’s great to see not only the pro-touring/autocross scene grow, but also attract the attention of more and more enthusiasts around the country – in turn bring more battles like the Duel in Des Moines to other Goodguys events nationwide! For more of the pro-touring action from the Googuys 26th Speedway Motors Heartland Nationals, check out the Photo Gallery below!